Pour a little remover onto the cotton square. It's really thin so you only need a tiny bit. 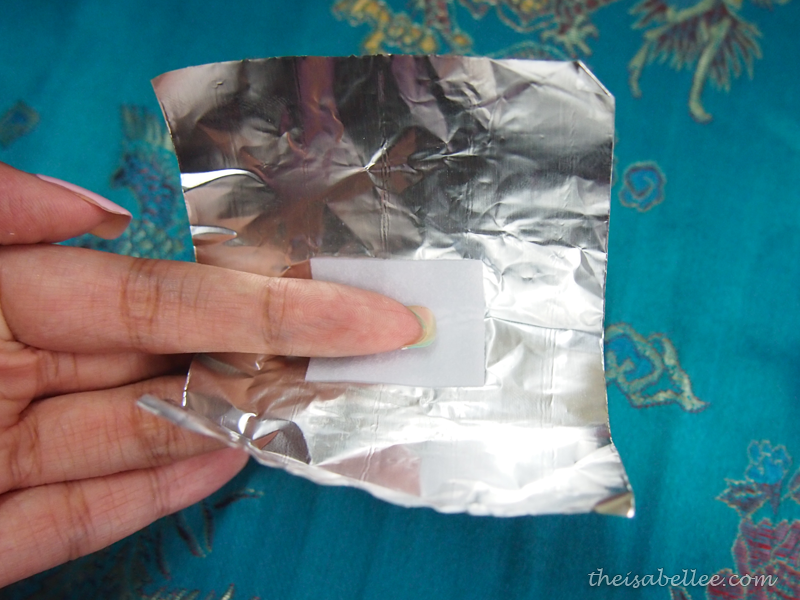 Place finger in middle of foil with your nail on the cotton. Some people advise applying Vaseline on the skin beforehand to protect it. Roll tightly around finger and secure by folding it away from your nail. Which means the fold is on my fingerprint. This is how it will look like! 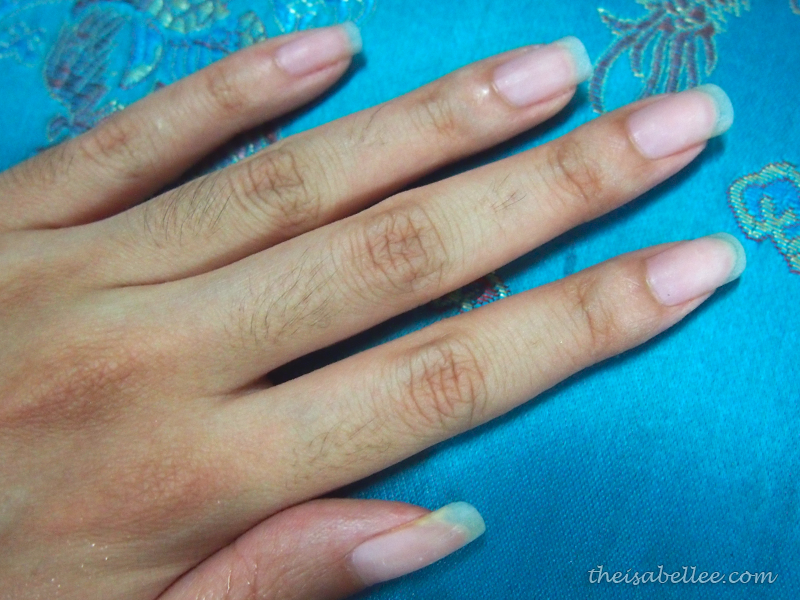 Open one nail first to check if it's done. 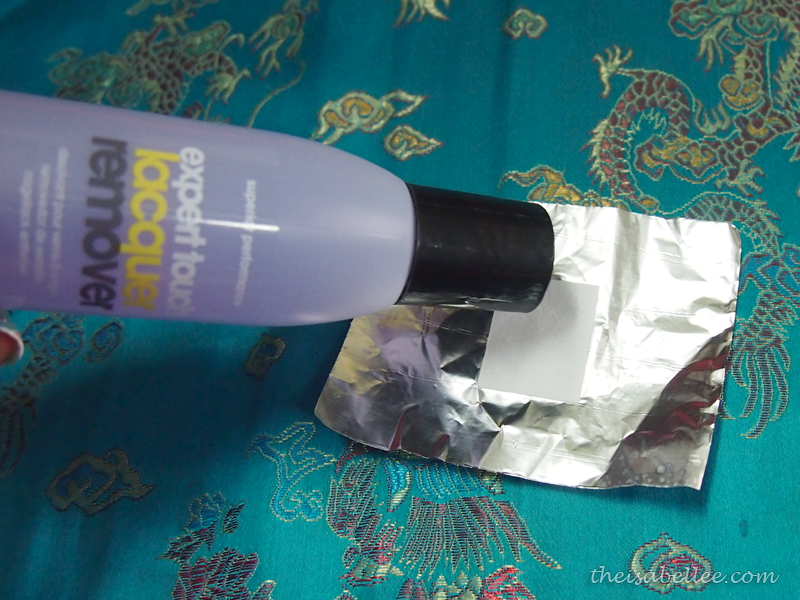 If it hasn't lifted yet, wrap the foil back and wait 5 more minutes. 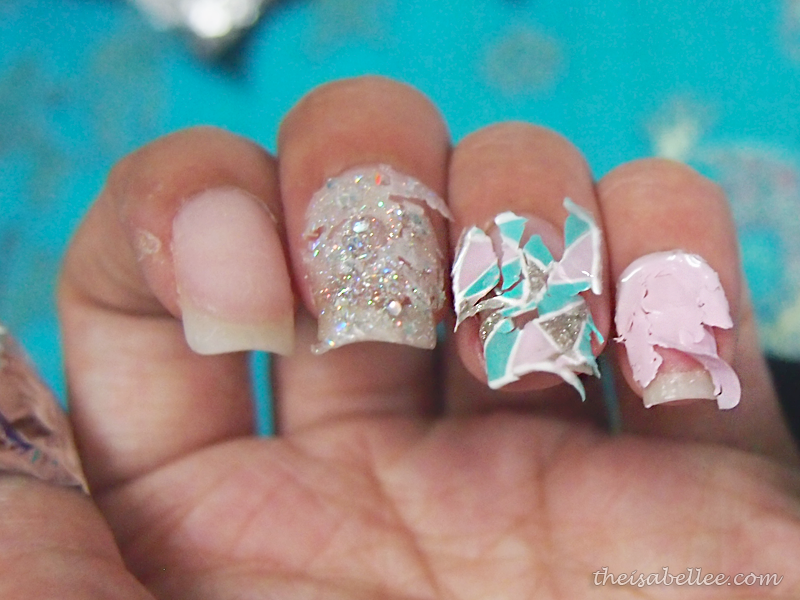 Simply rub off the pieces of gel polish. It should come off easily. Some may remain on your nail which you can buff off. 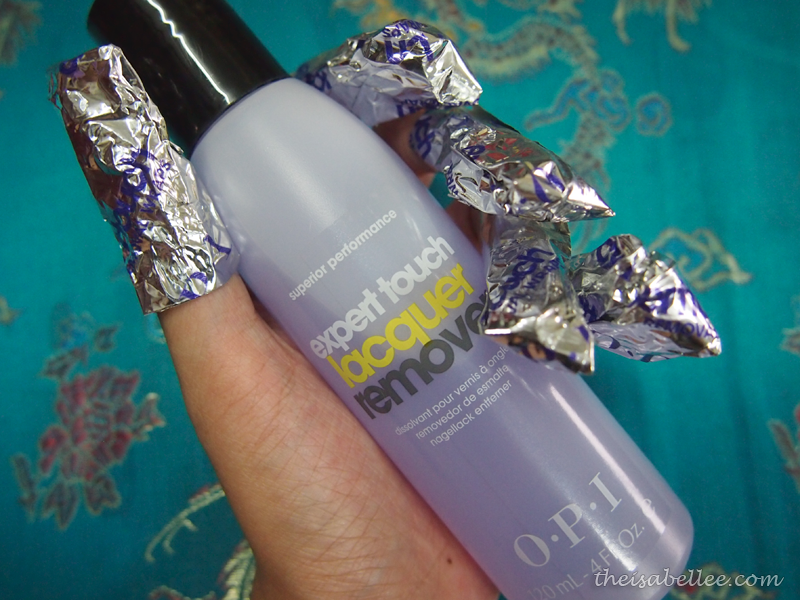 Wash off any remaining remover or nail dust. 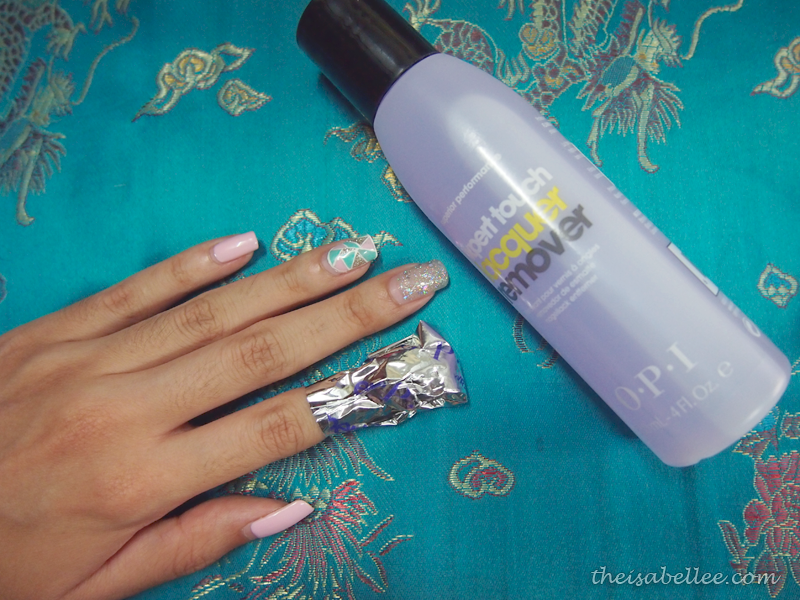 Apply OPI Nail Envy and nourishing lotion. And.. you're done!